Born in Champagne, chef Philippe Jeanty learned the basics of French home cooking while helping his grandmother and mother prepare meals for their large family. Between visits to the neighbor’s dairy for warm milk and special evenings with his family at the local bistro, memories of food permeated his childhood. A summer position working under chef Joseph Thuet at Moët & Chandon when he was 14 quickly turned into three years of intensive training. It was this life-changing experience that confirmed Philippe’s calling to become a chef. In 1977, Philippe came to Yountville, California with a team from Epernay, France to open the Chandon Restaurant. In just a year he was made executive chef, which allowed him to develop his personal style of world-class cuisine. Chandon marked a change in the Napa restaurant scene; a fine dining restaurant had never existed in wine country before. The next twenty years of accolades, awards, and praise from customers and critics established Philippe as a highly respected chef. Eventually, Philippe developed a new culinary vision. His thoughts turned to his home in France, to memories of evenings savoring traditional meals with his family. 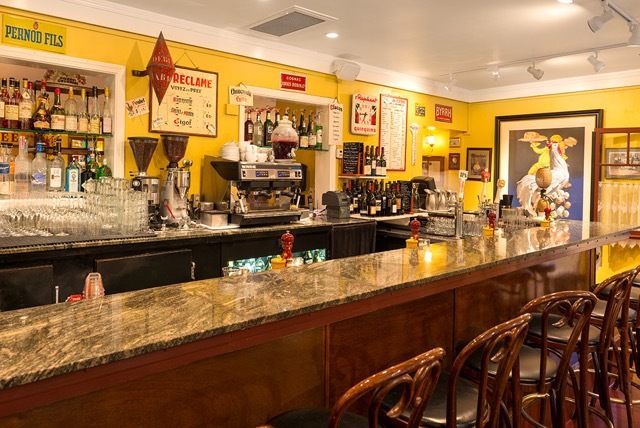 With this in mind, he decided to bring a classic, French bistro where he could recreate all of his favorite, childhood foods to Yountville – the place he, his wife, and two daughters called home. His heart full, Philippe opened the doors of Bistro Jeanty in April of 1998. Immediately, the restaurant received critical acclaim. It was selected as the "Best New Restaurant in the Bay Area 1998" and chosen as one of four nominees for "Best New Restaurant in America 1998" by the James Beard Foundation. Since then, the doors have barely had a chance to swing shut, and for good reason. There is a extraordinary sense of nostalgia when dining at Bistro Jeanty – as if you too have returned home, only to discover you’re being served the most delicious food you can ever remember tasting.